Home / Follow up: Why don’t journals provide data on time to decision? Journal of Animal Ecology: approximately 40 days. I couldn’t find much else and I’d be curious to see what the numbers are like for other journals, so if you know please provide a link to the data in the comments and I’ll update the list. Until then, I thought I would flesh out the numbers in my earlier post. The data come from the report prepared by Jaboury Ghazoul and Wendy Martin for the 2013 Meeting of the ATBC Executive Council; these numbers are for manuscripts submitted in 2012. In 2012 Biotropica received 411 original submissions. Our average time-to-first-decision on these manuscripts was 42 days (median=38; range 0-167). 42 days to first decision is – I think – preety good, especially when compared with some of the excellent journals above. It’s the result of hard work by my predecessors, but much of the credit belongs to our Editorial Assistant Wendy Martin. She peppers Editors with reminders to find alternate referees, remind referees to submit their reviews, and make decisions when all reviews have come in. She also provides a weekly report to the EIC and AEs detailing the status of every manuscript in progress and highlighting those that are overdue. We always going to struggle with delays in submitting reviews, but as Editors we are working hard to make decisions quickly once reviews are in. 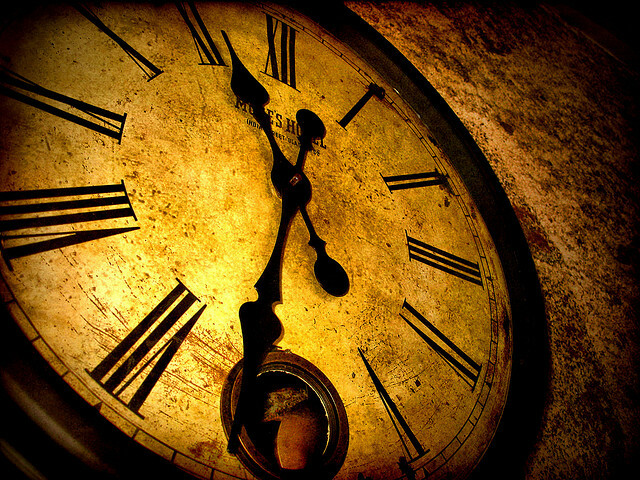 Of course, the longest time to first decision we had in 2012 (167 days) was unacceptably high, no matter what the reason – if reviews are delayed because people aren’t following the Golden Rule of Reviewing we should beg, cash in favors, appeal to the reviewer’s sense of human decency, curse at them multiple languages, or whatever else it takes to get a decision in a timely manner. Fortunately, this rarely happens. 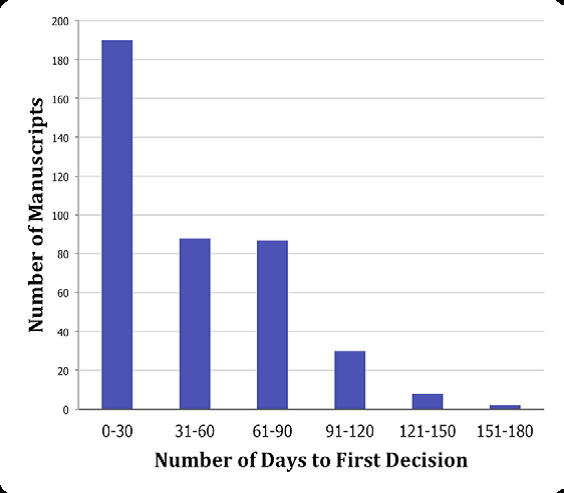 As you can see in the figure above, approximately 94% of manuscripts received a first decision in fewer than 100 days, and 47% received a first decision within 30 days. And what were these decisions? Of the 411 original submissions, 20% were ultimately accepted (usually after multiple rounds of review). So to get back to the original questions: how does this compare with other journals? I have no idea, because only a few journals publicize their mean time to decision, and most don’t tell you the range is – important information used by the community to help make education decisions about where to submit. In the interest of greater transparency, Biotropica is throwing down the gauntlet. I’d like to see hear from other Editors what their data look like, and how they deal with 1) bringing average TTD down and 2) how they work to avoid those few manuscripts that fall through the cracks and take longer than they should. *These papers had obviously flawed methods, were too narrow in scope, or were otherwise not appropriate. The decision to reject without review is made within 7 days of submission (on average), even though it is usually made in consultation with one of our Subject Editors. We take these decisions very seriously and always provide a clear and valid justification for the authors. Thanks Tobias, I updated the list.